We shall undertake the detail design of ALL required fire safety systems, be it fire sprinklers, smoke detection, alarms etc. These items by their very nature will require extensive design and preparation of specifications. Procuring of the most cost effective prices, adjudication on same and making the appropriate recommendations. Preparation of, and responsibilities for budgets on fire-related items are dealt with by PFM (Prana Fire Management). Upon agreement with yourself of the issues involved. 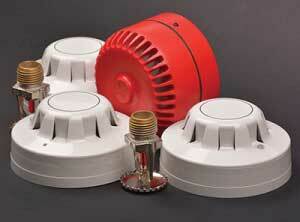 Supervision of fire equipment installation contractors on systems designed by PFM (Prana Fire Management). Fire alarm systems have devices connected to them to detect the fire/smoke or to alert the occupants of an emergency. 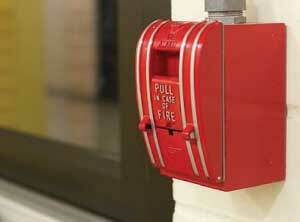 Below is a list of common devices found on a fire alarm. Detects poisonous carbon monoxide gas and usually only connected to household fire alarm systems. Very rarely seen in commercial systems. Notification Appliances – fire alarm system component used to notify people of the need of action in connection with the activation of a fire alarm device. Notification appliances may employ audible, visible, tactile, textual or even olfactory stimuli to alert the occupants os a fire or other emergency. Audible or visible signals are the most common and may utilize speakers to deliver live or pre-recorded instructions to the occupants. In the united States fire alarms evacuation signals are required to use a standardized interrupted four count temporal pattern to avoid confusion with other signals using similar sounding appliances. Magnetic door holders – wall of floor mounted electromagnets controlled by a fire alarm system or directly connected smoke detectors that hold open spring- loaded self-closing smoke tight doors by magnetic attraction to a door mounted iron armature.